The children finished heirogylphics out of sand dough today. There is a huge interest in egyptian history and mummy’s. We rolled out the sand dough with rolling pins and then made marks out of various objects. 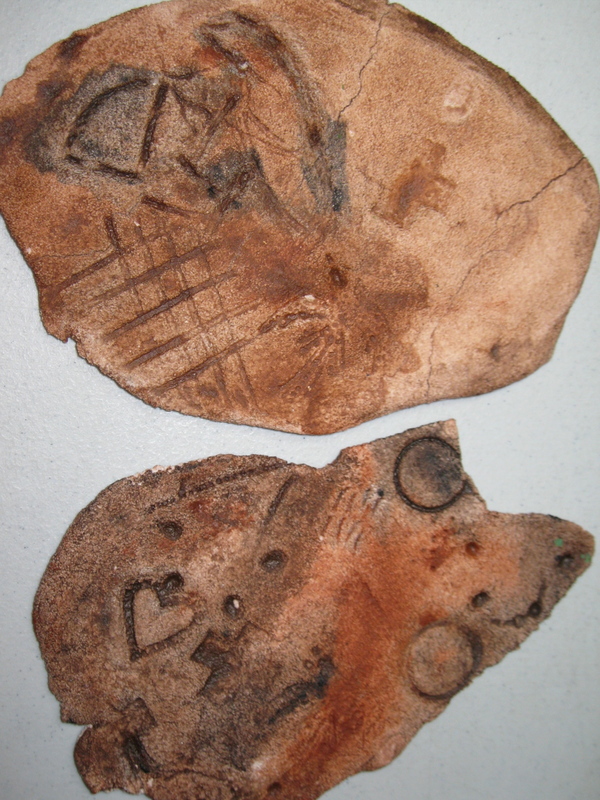 We scored the slabs with sticks and pressed objects into the dough in order to make the impression. The next week we painted the slabs burnt sienna and black acrylic paint so that it would mimic the look of real heirogylphics. The children were making stories up based on their markings. I will post the recipe for sand dough later as well as some other project ideas.